When will the housing market loosen up? What needs to happen for the current trends to subside and for more inventory to find its way onto listings pages? The good news is the impact of constrained inventory will create the solution to the problem itself. Because demand is high and supply is low, home values have nowhere to go but up, in most cases, as more buyers compete over a shrinking pool of available homes. The biggest impact on rising home values will be among homeowners with negative equity. 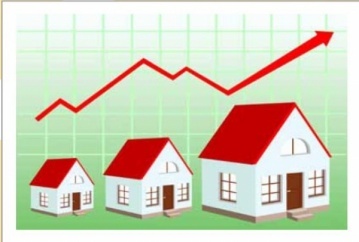 Home values rose 6.2 percent year-over-year in January, and are expected to rise another 3.3 percent through January 2014. These rising values will, in turn, help free many homeowners trapped by negative equity. Zillow currently expects at least 1 million currently underwataer homeowners nationwide to be freed by the end of this year, and it’s likely that once they are able to, many of these newly freed homeowners will list their homes for sale, which will contribute to more inventory. Additionally, rising home values will also entice those homeowners currently sitting on the sidelines waiting for the best deal to finally list their homes, as well. As more homeowners are able to list their homes, and still more finally choose to list in coming months to take advantage of rising values, those wary of listing for fear they won’t be able to find another home may see more homes on the market and break free of the self-reinforcing game of musical chairs that’s currently holding them back. Another factor that will contribute to more homes listed for sale is the sustained high foreclosure rate nationwide. Nationally, 5.54 homes out of every 10,000 were foreclosed upon in January. Foreclosure can have huge negative impacts on individual families, but if there is a silver lining, it’s that once a home is foreclosed upon, it can re-enter the market as a normal listing. Foreclosure rates are likely to remain elevated for the foreseeable future – which is bad news for distressed and struggling homeowners, but does represent some relief for a market starving for new listings. The last major factor that will contribute to more for-sale listings are new homes currently under construction and in the construction pipeline. Housing starts in January rose 23.6 percent in January over January 2012, according to the U.S. Census Bureau, while permits issued for new housing rose 35.2 percent year-over-year. The housing crash put many planned residential construction projects on ice beginning in 2008 and into last year. But as home values rebounded and demand returned to the market, many developers began dusting off and resuming these planned developments. As these new homes come on line over the coming months, supply should begin to keep up with demand, which should both help ease inventory constraints and moderate sometimes unsustainably high home value appreciation in many areas. The current inventory shortage is the result of robust demand driven by an improving economy, improving consumer confidence and household formation, and near-historic housing affordability driven by low interest rates and home values that remain well below their recent peaks. The good news is that these fundamentals should remain in place in the market for the foreseeable future. The bad news is that supply will struggle to keep pace with demand, at least in the short term. As a result, many buyers in the upcoming spring home shopping season may get pulled into bidding wars over what inventory is available, which can be frustrating. The best advice is to remember the value of patience, to understand that more supply will be coming and to not commit to paying beyond your comfort level in the heat of negotiations.